The Specimen Carp Lake Where PB'S Are Smashed! 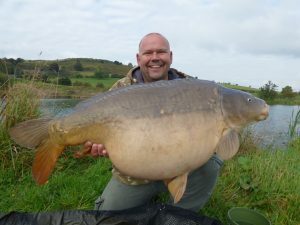 Welcome to Near Gatten fishery, providing quality big carp fishing and fishing holidays in Shropshire and the UK. We hope that you find our website useful but if you have any queries about our carp fishing lake then please feel free to contact us via the website or give one of the team a call. Although Near Gatten fishery has only been established since 2010 we are dedicated to producing some of the highest quality big carp fishing that you can find in the stunning Shropshire countryside and is the ideal venue when thinking about carp fishing holidays in the UK. 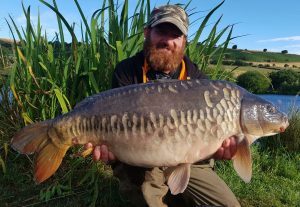 Our aim is to ensure that we offer you, the angler, the best possible fishing experience from the moment you walk onto our lake and enjoy your time on the bank chasing some of our stunning big carp ranging from 20lb to 40lb+. This immaculately landscaped lake is set in the idyllic surroundings of the Shropshire Hills and has been described as a quiet peace of heaven by many regulars. 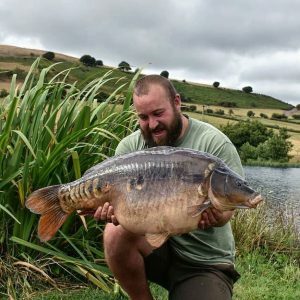 Set in truly beautiful surroundings and has an array of features in and around the lake that makes it a very intriguing lake to fish for carp.